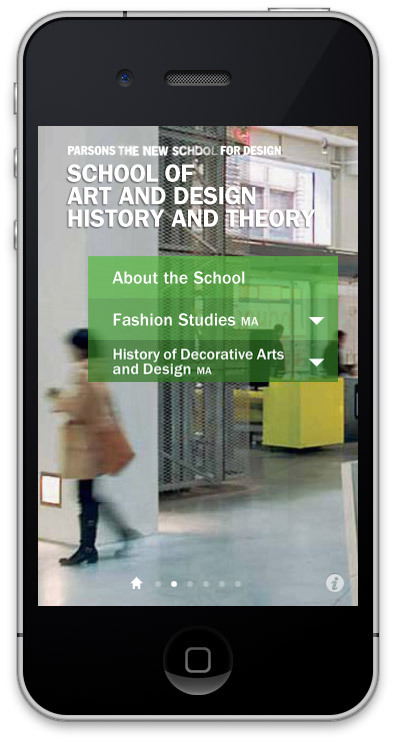 This project started with my project proposal to the dean of Parsons. 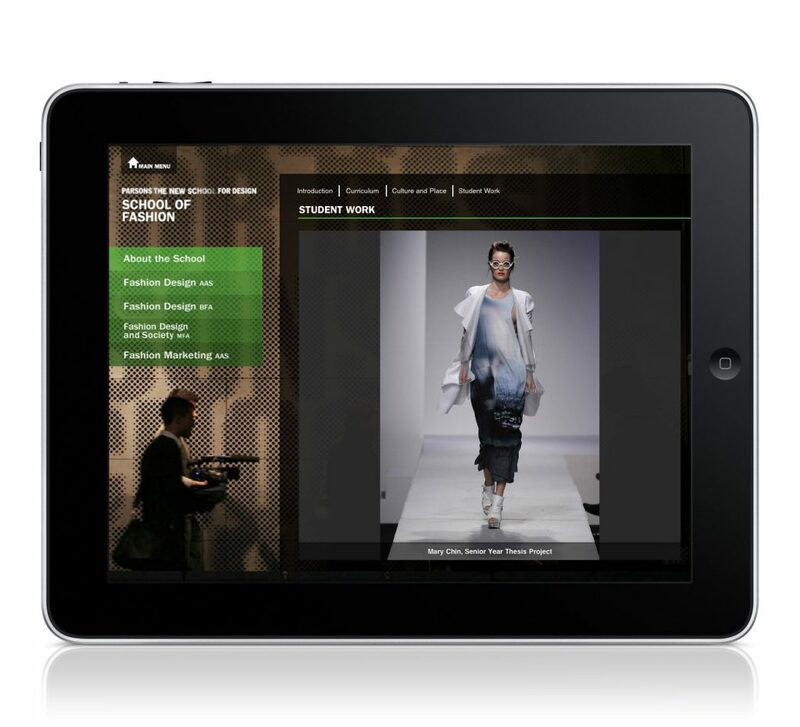 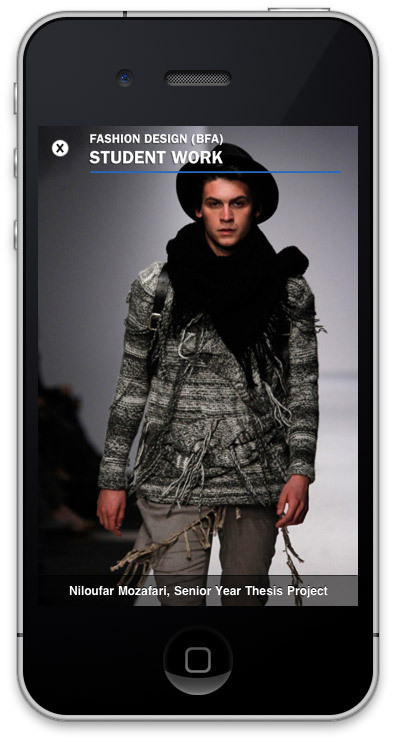 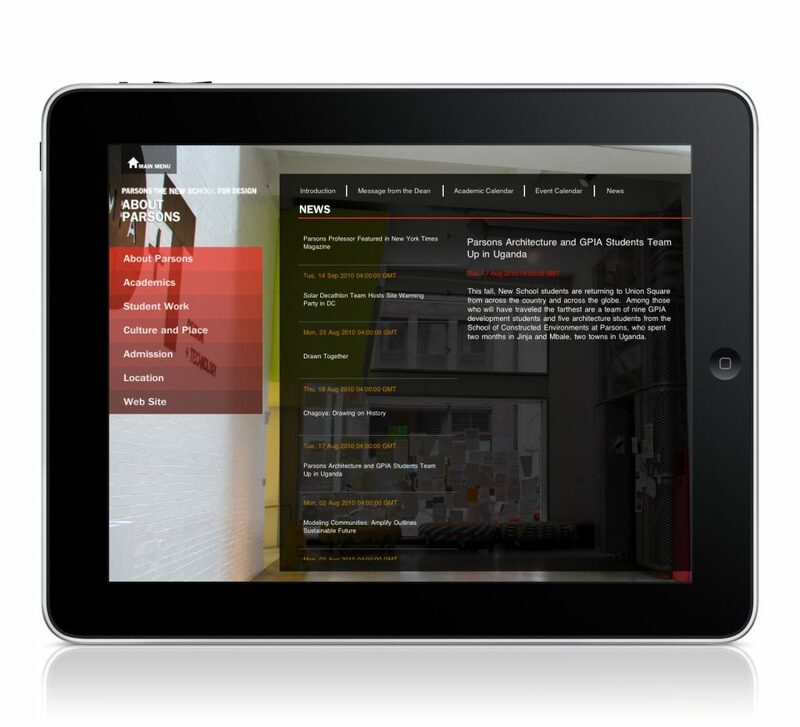 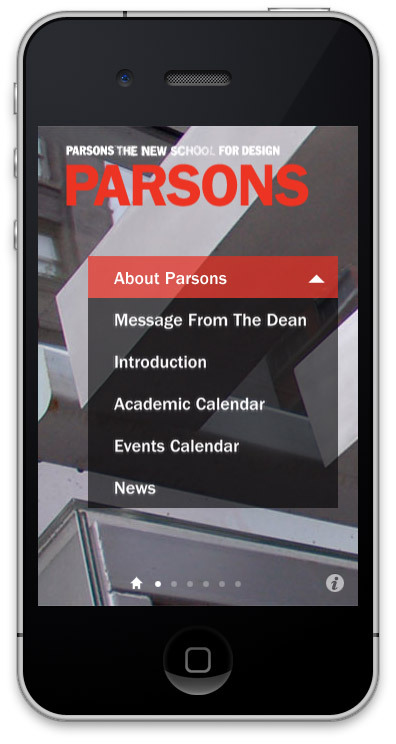 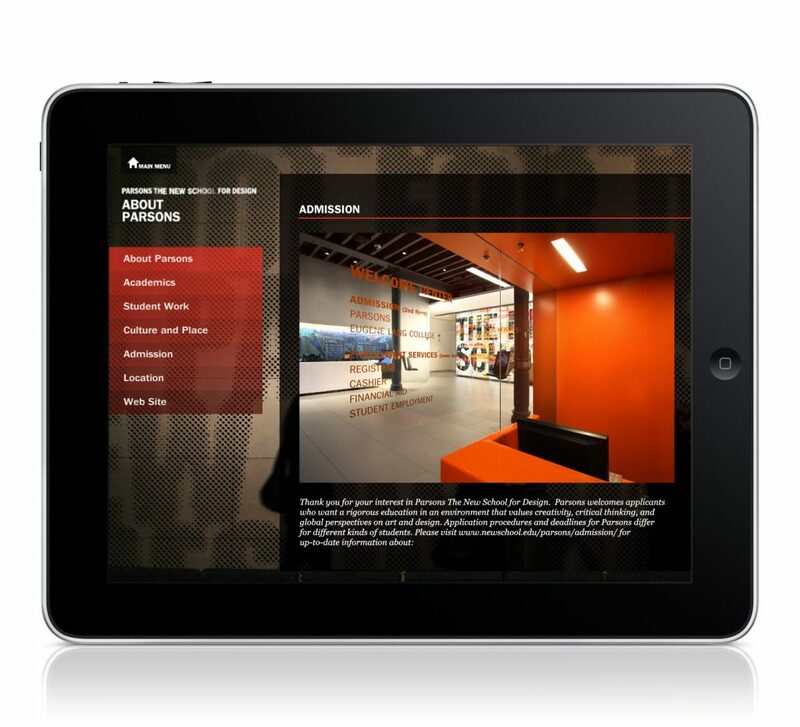 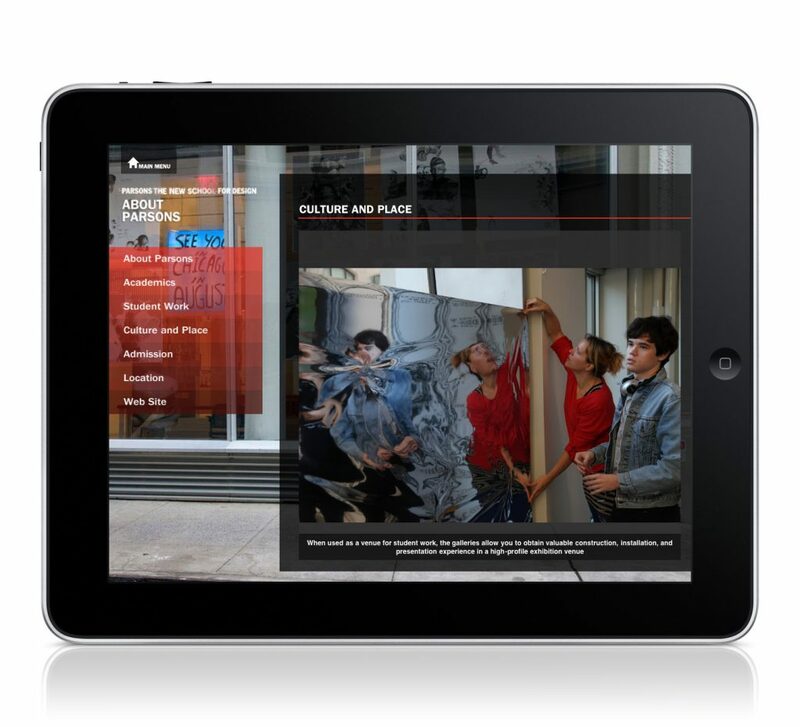 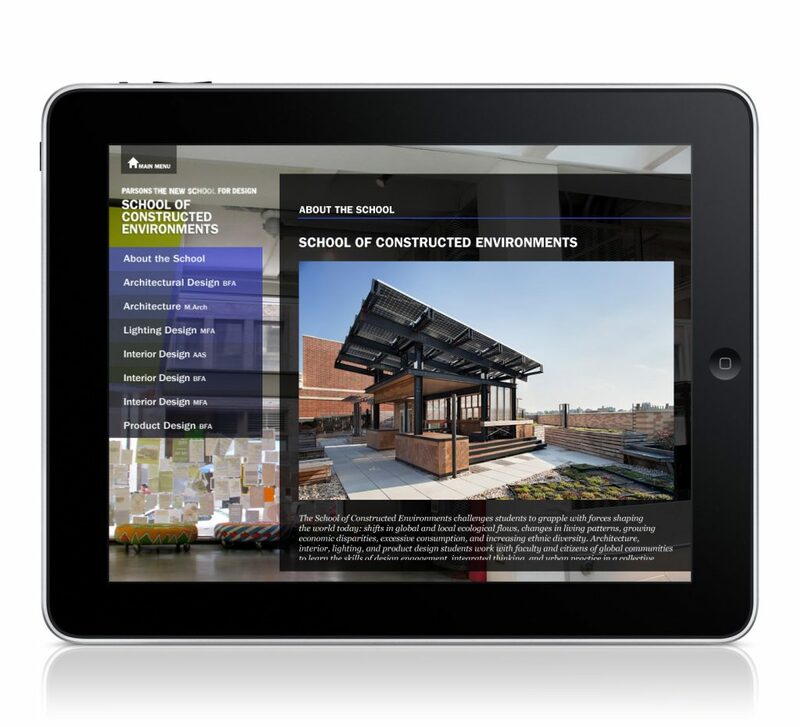 I designed and developed the app which eventually became the official app of Parsons School of Design. 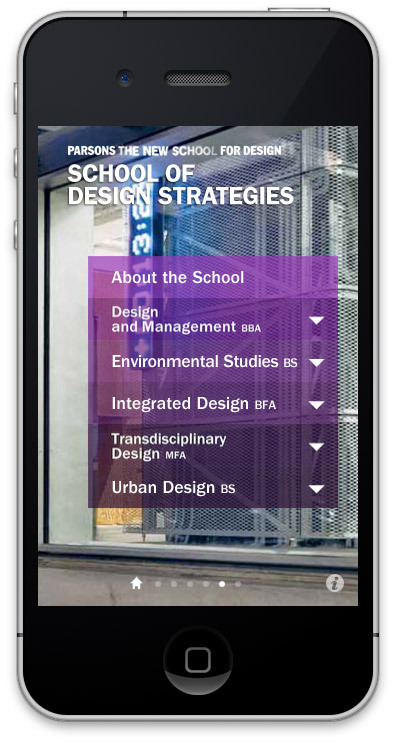 It was initiated from my own experience as an international student, who was looking for a graduate school. 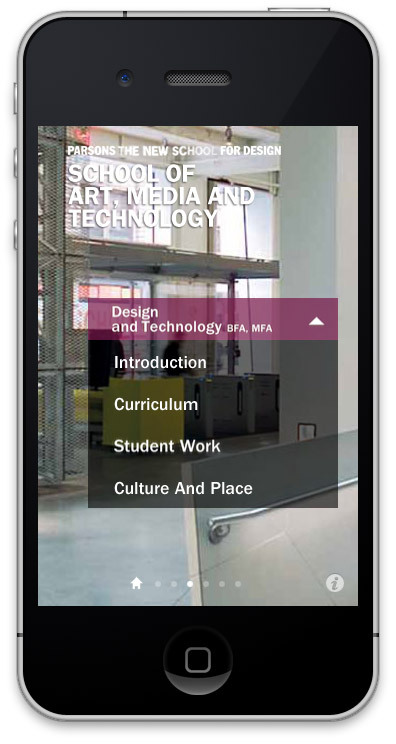 When I finally decided to go to Parsons MFADT rather than SVA’s MFA Interaction Design or NYU’s ITP, a lot of people were curious about my decision. 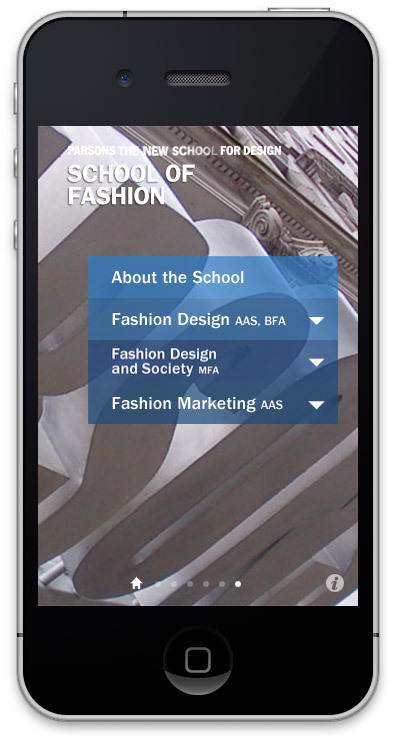 It was because most people thought Parsons is only fashion design school. 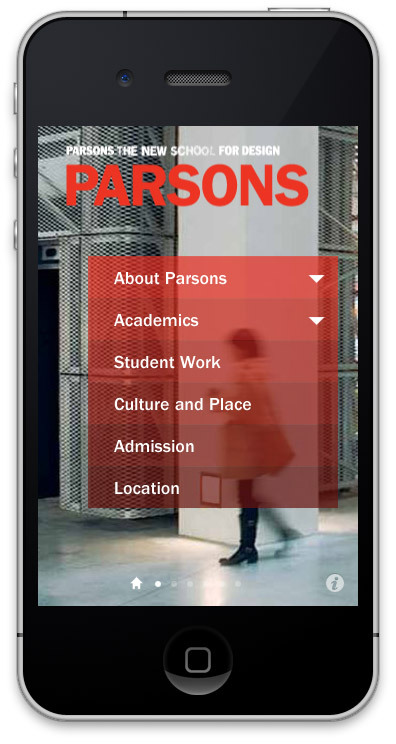 Even though Parsons is famous for fashion design, I found great programs in communication design, interactive media, and technology. 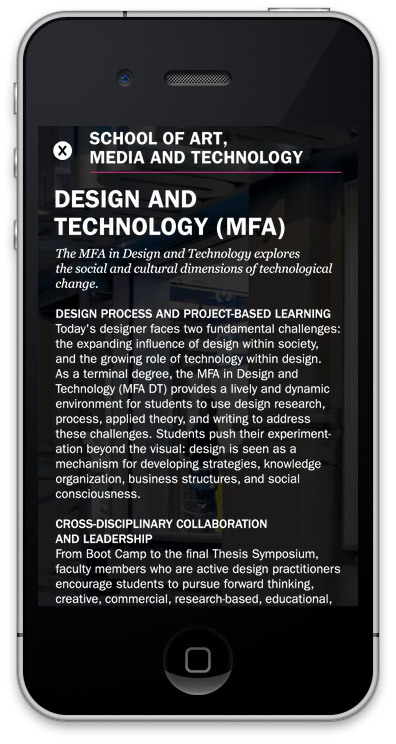 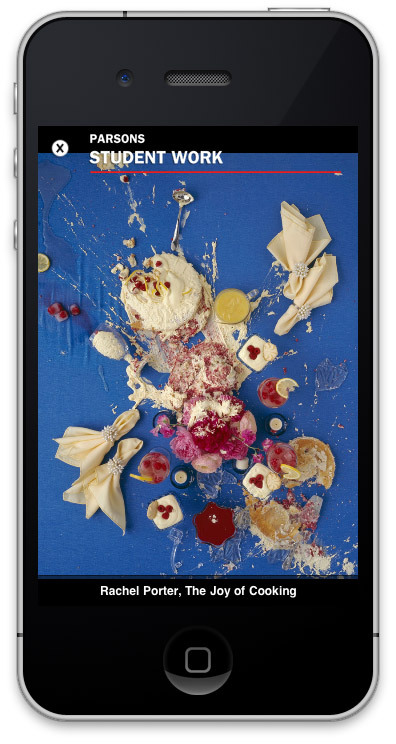 The design challenge was the depth of menu navigation. 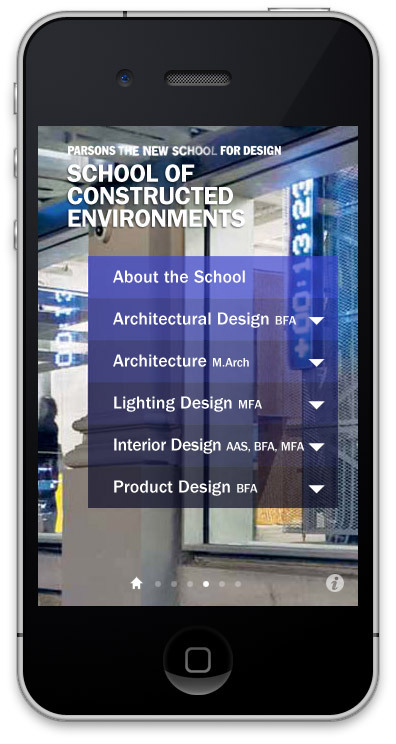 Since five schools have several programs that also have submenus, I decided to use horizontal scrolling with the swipe gesture, to show the schools. 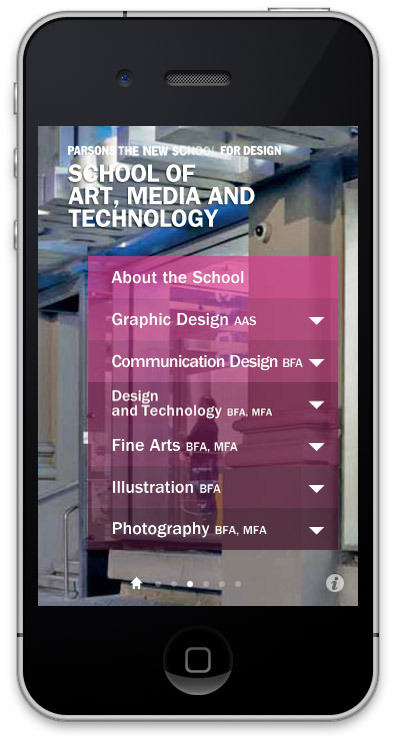 This design has the advantage of decreasing the menu depth and good for showing the diversity of various programs. 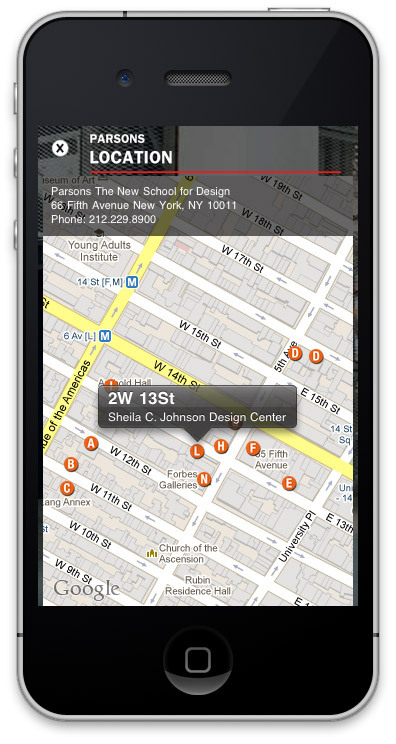 With iterative user testing, I could refine the detail navigation elements such as the home button or close button.